Done and done. Making these next Sunday. Though, I work Sunday mornings, so these will be Sunday afternoon pancakes. 🙂 Probably still as tasty. Oh I love the sound of these…we have a Sunday morning pancake habit, which now has diversified into a sometimes waffle habit. I have a feeling that very soon we will be add these to our repetoire! I prize heirloom recipes and so find your gift of yours to us quite generous. Many thanks, Molly. I know what we'll be having for breakfast on Sunday. Food really is effect by location and ambiance. When my husband and I were engaged I got The New Best Recipe Cookbook from Cook's Illustrated. The Buttermilk Blueberry pancake recipe became a weekend morning staple. It's delicious we served it at our brunch reception. I'm going to make pancakes this weekend. Thanks for reminding me. i have about 2 cups left of buttermilk from making creme fraiche for your bouchons au thon. I think this will do nicely. So pleased to see u show up in my blogger feed at this hour. A lovely good night read. Thank you, Molly. These sound delicious! My 5 year daughter is a big fan of pancakes, we'll try these out this weekend. hope you had some tasty grapefruit while in florida. that's the one thing i really remember about that state. can't wait to make these oatmeal pancakes saturday morning. you should try them too. along with that relaxation! Yum, yum, yum. I am aching for the cold so I can make these. Though blueberries are fresh and delicious at the moment, so maybe I'll have an excuse after all. P.S you write so beautifully I feel (almost) like I've eaten them already. I always stick to some version of: 2 eggs, 2 slices toast and tomato. I think it's time to try something different. It'll have to be these pancakes because I have never been a cereal person! They seem healthier than the plain flour kind as well. Molly, I would say, for being a non-traditional-weekend-breakfastist, you've got it down pat. You see I've made your Dutch babies, scones, shortbread waffles (after which my boyfriend and I took a five hour nap), popovers, kale and eggs, and more… all a huge success and to the point of my sister declaring you a “genius”. SO! Thank you for yet another awesome looking breakfast recipe! My mom made this recipe all the time at her bed and breakfast…I never knew where it came from! It is very good — even some pancake haters will convert, and everyone begs for the recipe. She left out the cinnamon too! Your pictures are lovely. These pancakes remind me of the rice pancakes my grandma used to make – heartier than a regular pancake, but with a delicate sweet crunch where the rice crisped at the edges. She never used a recipe, and i'm still trying to recreate hers perfectly, so can't wait to try these. This sounds so good! Too bad I just read this, because this is what would be cookin on Beaty's Creek. Can't wait for tomorrow! It seems we have a similar affliction when it comes to mornings. But I don't seem to have a need to cure it as you do. So, I will save this for the next time we have overnight houseguests because it sounds good. BTW, love the black and white pictures. Oh, lovely pancakes! Slow weekend mornings are not natural to me either- I always end up starting some unending organizing task while my family is eating pancakes. Then I get overwhelmed and teary and I come to the table and eat cold pancakes. My kids have it right though- they insist on hours of pajamas and breakfast, supported by our (random wedding gift) hello kitty waffle iron. I kid you not. Oatmeal pancakes this Saturday then. These look lovely! I plan to make some Anzac biscuits (I'm in Austria but homesick for NZ) but I'll definitely have leftover oats. Since I also have waking-up-early-on- weekends-itis but my boyfriend has no such qualms, I shall compromise by waking him early but bearing pancakes. That seems fair. Thanks, I'm glad you gave it another go. I am to my very core a morning person. My husband however, is most certainly not! But for a pancake, he goes weak in the knees (especially with blueberries!). I will have to try these! Thanks for the recipe! Oatmeal pancakes are the BOMB. We make them often, with yesterday morning's oatmeal (eaten hot) blitzed right into the batter. Two breakfasts, one stone. Only, well, much more tender than your average stone. Try separating the eggs and beating the whites to soft peaks before folding them into the batter. Good pancakes might break your cold cereal habit. what a great post & tribute to your aunt. i *heart* how you write!! @ our house (even on weekends) we eat cold cereal, swig down vitamins & are on the run…but i think i will prepare these pancakes, set a nice table & maybe we can sit, talk & reflect. thank you for making me stop & catch my breath. What a lovely story. I need to try these pancakes and was tempted to make them for breakfast today, until I read the overnight part. I know what we are having tomorrow. Well h*e*l*l*o – now there- THERE – is a piece of writing. Now I want some breakfast in bed. Mmmm. I too long to have those easy, farm-fresh weekend mornings with the windows open to the spring breeze, NPR on softly in the background while I cook. Sigh…. I will aim for the relaxing morning this weekend with these awesome sounding pancakes. And NPR. And the heat on. these are perfect. like your usual bowl of cereal, i struggle to eat anything but a bowl of oats for breakfast–despite a professed love for all things drenched in maple syrup. these are the pancakes for me, i think. Try them with a spoonful of vanilla stirred in…you won't regret it! I have that similar genetic trait -I yearn to spend my weekend mornings like I used to see Will & Grace do on TV, but in reality Sunday morning is just like Tuesday morning (except that my husband goes to yoga instead of work). Ah well, as they say, I am what I am! These are exactly what weekend mornings call for. …I actually love that (?) table runner – I know you're a proponent of 'buy Handmade' – is it from etsy or the like? Haha, you crack me up. Great run down of a weekend, and i'm liking the photos too i almost want to try and get into that photo of the pup and pat his head. Nathan (my husband) and I take much joy in weekend pancake breakies. Blueberry pancakes enhance our marriage for sure, i like to mix the batter, he likes to cook them.. yeah teamwork! Oh Molly, these sound perfect. you know who's good at weekends? david. i didn't know this before i married him, but now i think it's my favorite trait. almost anyway. he's in charge of bacon & egg frying, and i'm in charge of pancakes. i think this will work out quite nicely. With the dreaded thesis looming, a portfolio to put together, and a wedding to plan, my weekends are becoming more and more frazzled. cheers to you for slowing down! i am very much looking forward to when i can do so again, but it probably won't happen until december when grad school is officially OVER. oatmeal pancakes-a marriage of two of my very favorite breakfast treats! yes! will give a whirl shortly. jack looks adorable. our puppy is about 10x his size (really, he's 80 lbs), and still insists in sleeping in a pug-sized bed. riddle me that! Those sound amazing. I am anything but a morning person. I will stay in bed as long as I can and breakfast? What is that? Something you eat around 11? At least that is what it is for me every weekday. Delicious, a must make for the weekend! Thank You, Molly So glad to have you back! i love oat everything, and always put oats in my pancakes, but i never tried this “soaking the oats the night before” business. must try it one wintry weekend night. thanks for the recipe. also, i am bad at weekday mornings, but excel at the weekend type. maybe it is a setting thing. Eager to try these — I usually keep my weekend routine pretty boring too. Maybe it is because I work from home & could eat pancakes every day if I wanted to? That's so lovely, since just this Saturday we made the same Oatmeal pancakes, adding frozen blueberries (yum,) and since I have a pile left over, I've been using them pre-gym carb load-ups. They are perfect, aren't they? I even snuck them under the otherwise vigilant noses of 4 teenage girls that first morning, and not a one objected. The oatmeal simply dissolves. No complaints. Only I knew they were getting real nutrition. Molly, love your memory of the wedding- we just road tripped our 4 boys to VA a few months ago for my brother's wedding on his fiancee's family farm and I love thinking that when they are older, it will be one of their favorite indelible memories. We are also pancake fiends at our home and intend on putting this recipe to good use in the a.m. They already love your buckwheat pancakes, which we add semi-sweet chips to. These pancakes sound like a dream! I love that you HAVE to plan the night before, which cuts out the morning laziness that often plagues me too. Can't wait to make these next weekend! also, I have an excellent bread recipe that soaks the oats in buttermilk (although not overnight) that yields the best hearty sandwich bread ever…intrigued to try this with pancakes. YUM. These look completely fantastic. These look lovely, a good addition for our breakfast repertoire! Oats are wonderful for breakfast, and I look forward to trying them, thank you! Blast! I have the day off of work, slept in, and was reading your post, thinking this is the PERFECT time to make pancakes. Then I saw you have to make them the night before. Planning ahead is not my strong suit. But I'll have to prep these Friday night. They sound delicious! p.s. Your dog is so squeezable. Leftover pancakes are the best. I also love having a recipe that you can start the night before–making sliding out of bed on those lazy weekend mornings (hey, that's one thing I'm good at) even easier. Hmmm, intriguing, both hot and cold! Gonna try 'em. I always have hope that the lazy Sunday with coffee and a newspaper is something that will come to me with age. We'll see how that pans out. In the meantime, I can sit still just long enough to make pancakes. Thanks! I'm not a lazy-Sunday kind of girl either…but I would become one so I could eat these pancakes…buttermilk and oatmeal – yum! Yum, Yum, YUM! I just made your peppermint bark the other day, and tried your caramel corn recipe…Your recipes need a calorie-offset-workout to go with them at the rate I end up consuming them : ) I can't help myself, and just need to make sure I have plenty of people around to help eat the recipes you share! Thanks, Molly. I will try these pancakes soon! I'm pretty certain this is the same or at least very similar to a Sunset Magazine recipe for oatmeal pancakes that my mom made for us. I remember her soaking the oats the night before with buttermilk and that yummy hearty texture and flavor. She used to make homemade applesauce and fried up breakfast sausage to go with. Also, real maple syrup of course! Thanks for reminding me…I am going to make these very soon!! These look absolutely delish, and I love love the memory attached. P.S. Your little dog is so cute! I have a little dog that's pretty much exactly the same size. 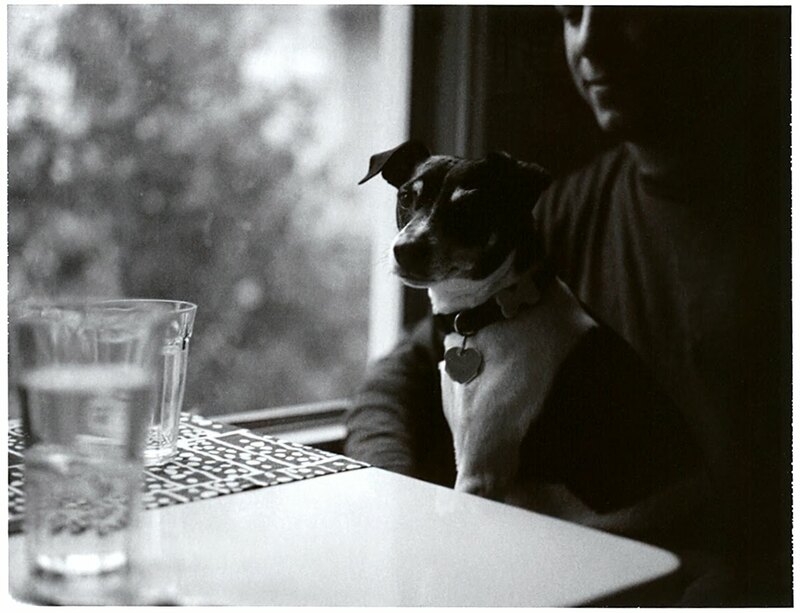 Love the photo of your dog [Jack, is it? ]…what a shot! I love pancakes. In fact, one might say I'm slightly obsessed. Next to chocolate, it's my favorite food (like your failed drink, I've tried mixing the two with undesirable results). Normally, I throw in a little cinnamon and vanilla to mine. I've never used oats in my pancakes before, so I'm looking forward to trying this! I can never resist a pancake recipe. I myself do not have a golden touch with pancake-making but I am married to someone who does have it. Gin, Lillet, scotch? That sounds utterly undrinkable. These would make a Fine Weekend Morning indeed! I also need more pancakes in my weekends. In my life in general. Can't wait to try. These pancakes look delightful! I don't always make a great breakfast on weekend mornings, but when I do, its so nice to have that time to relax and enjoy. I hope you can do it more often! I too am not very good at weekend mornings – I always feel like I should be getting going with all the things I want to get done. But my husband and I do manage to make pancakes or waffles at least once a weekend. We will have to try this version immediately. One question though – could you substitute soured milk (milk and vinegar) for buttermilk? I never have buttermilk on hand, and prefer not to buy it, since it never comes in handy sizes and most of it goes to waste. these sound delicious and we can't wait to try them. i see a weekend in our near future! I am reading your book at the moment, and this reminded me of your stories. It's such a great read. Very inspirational for my own writing! Is this one of those recipes where the milk+vinegar substitute will work, or does it *really* need to be buttermilk? They sound awesome, by the way, thanks for sharing! I've always been a quiet, newspaper and coffee, pancakes in the morning person. Now I have two small children, and we still do pancakes, and I drink even more coffee, but it's not so quiet anymore, and I rarely get the chance to read anything! But it's still fun. Are there blueberries in the pancakes in the picture? Because it sounds like these would be awesome with fruit. BTW, I remember volunteering with your mom many, many years ago at the OKC Museum of Art, when it was still at the Buttram Mansion. 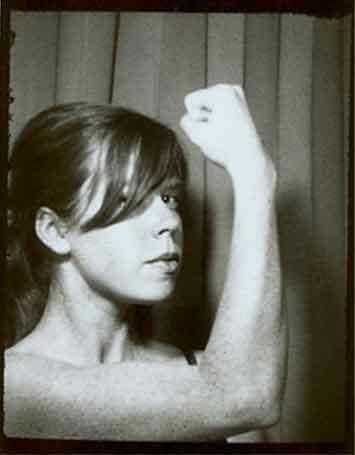 I didn't really know her, but was always in awe of how smart and beautiful she was. I adore your book, and am so thrilled for your success. “Gosh, that's certainly a drink,” said Leiter. Our weekends are crazy so that probably won't happen, but I'm sure they would be a welcome addition to a cold school-day morning in Wisconsin! I admire you for kayaking with alligators! So scarrrry. Thank goodness you did not end up being *their* breakfast! Ooh, new header! Molly dear, I love catching up with what you're doing. And I love not being the 130th commenter. I LOVE oatmeal pancakes! I also love weekend mornings. Okay, totally trying these this weekend. 🙂 Also, your dog is friggin' adorable. luv them! and the new header as well;) greetings from freezing Poland.. Thanks again for the interesting and visually stimulating article. Loved the Mousse, onto Pancakes. Making them the night before with our 5 year old makes for an easier, early morning riser. I've cooked a sky high pile of pancakes in my time, all from scratch ingredients: Logging camps, fishing vessels, treeplanting camps, fire fighting camps, my home, my restaurant. I have to say (even though my man added oats to a recent batch, which I wasn't ready for, it was raw and a shock) this recipe, with the 1-1 ration of oats to buttermilk, and only a small portion of flour (oats have much going for them) is an attractive pancake, soaking the oats, why didn't I think of that? Pancakes are the ultimate sign of lazy mornings for me and this recipe is very similar to one I have been faithfully using lately (http://www.cbc.ca/consumer/story/2009/02/19/f-pancake-recipes.html – the first recipe on the list). They are hearty and satisfying vs fluffy and light. And, in a pinch they travel well if my morning turns less lazy and I have to run out the door. My only complaint – forethought. These guys need to be started the night before and I'm not always that on the ball. Thanks for sharing, I can't wait to try your version. planned relaxation, hmm…doesn't sound like something i do too much of either. but kayaking in the everglades..perfect! I looooooooooooooooove late morning weekend breakfast/brunches. Had a great one this past weekend! mmm the only way to start a Sunday. these would be delicious with a berry compote or some caramelized bananas. I can see myself making these when, at the end of the week, I realize I need to use up rest of the buttermilk (that I bought for some particular recipe and never was able to find another use for). The remaining ingredients are things I almost always have on hand, so it would allow me to polish off a hard-to-utilize perishable item AND it wouldn't require a trip to the store! I love oats! And pancakes too. But yeah, I'm like you, and I almost never do fancy breakfast. I love, love, love those coffee mugs, Molly! I would love to know where you got them if you're willing to share. These sound delish! Ok, I am going to go out on a limb and ask if anyone thinks it would be yummy to put pomegranate seeds in a pankcake? I realize this may be an awful idea but I thought this would be as good a forum as any to ask the question! I have a similar recipe…where you soak the oats overnight in buttermilk. It is as beautiful as you describe. Thank you for reminding me, from one not-so-good-at-relaxing-mornings type to another. Wow those sound delicious. I remember years ago going to a B&B in upstate New York where they made overnight oatmeal. I must have begged them for the recipe and lost it. I don't think it would taste the same at home though. Home doesn't have the Hudson River Valley right outside its door. These sound lovely… do you think they would work without the flour? Perhaps this says much about me, that after a lovely post on pancakes and family and the possibility of frozen blueberries, that what I am most (re: initially, and energetically enough to ask a question) interested by is the drink you did not like drinking. Was it a combination of all three spirits? Or just a succession of bad choices with a good friend? I'm from doylestown, but now live in london, and i have to say it brought a huge smile to my face to see this post. This is so cool! That soaking method is a hallmark of “Traditional Nutrition”–another hallmark of which is Using Real Ingredients, like butter, olive oil, fresh, raw milk; etc. It unlocks the nutrients in the grains to do it this way. If you don't have buttermilk, you can also use the whey from the top of yogurt or homemade kefir. Try doing this to oatmeal–put it all in your slow cooker the night before and then set it to come on first thing in the morning, using a lamp timer if necessary, so it goes about 2 hours before you want to eat it. You can throw all kinds of dried fruits, spices, and nuts into it. And I know you can thing way outside the box with this blueprint recipe! They sound wonderful. Love the story behind them. I have an oatmeal muffin recipe that is similar, in that you soak in buttermilk. Something about that process makes the oatmeal that much better. Dunno. My goodness! Doylestown is spittin' distance from where I grew up; it makes me smile to think of you eating these pancakes and me eating my Bisquick ones (They were perfect! So fluffy! And made with so much love, and perfect browning, by my dad) just a couple towns over. We're big weekend breakfast people, although it was easier to have friends join us back in my New York days — spontaneous visits are a little tougher out here. We'll try these VERY soon. I'm going to try these, they sound wonderful. 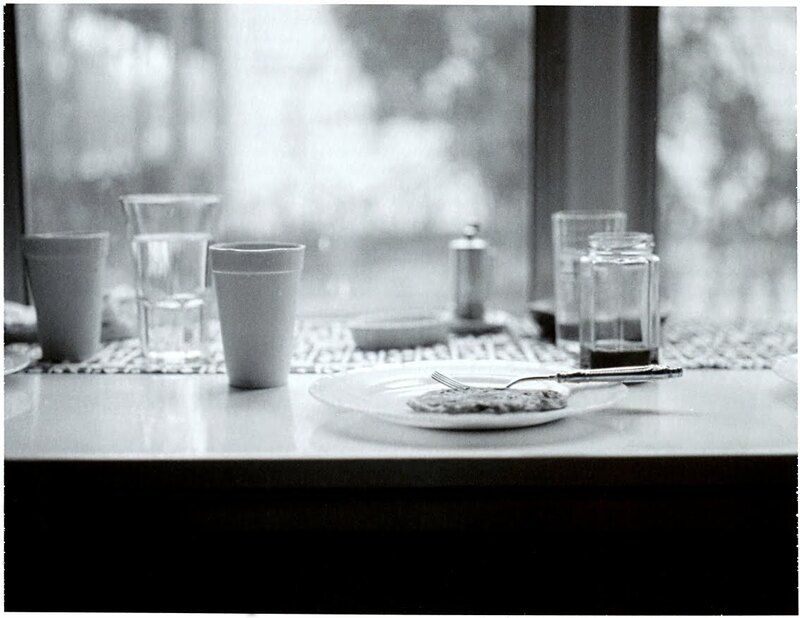 As to relaxed mornings, I hope you learn to savor the experience of doing nothing but eating your very delicious food and looking out the window or at the newspaper or mozying out for a walk, at a slow pace. Funny–how your mom isn't the stealing type. My Mom IS, and has stolen menus from every restaurant we've ever eaten in. And I like the whole locked-in scenario, too, like making yeasted waffles, which also require some thinking ahead. These are next on my list, though. Love how there's only 1/2 c. of flour. 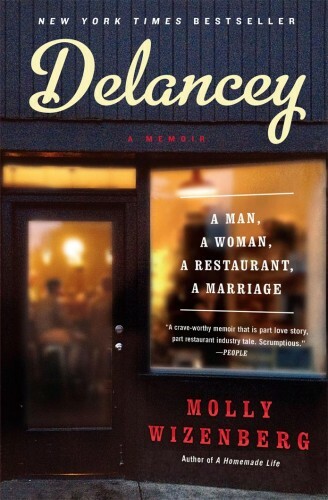 Oh Molly,i have only i thing to say-u excel at all u do ,whether its ur writings or delicious creations…. And honestly ur morning sound good to me…..
OMFG, I read this last night and realized I had buttermilk and oats. I put it in the fridge before I went to bed and in the morning made them up. SO Delicious. I meant to take a picture, but I ate them all. Good thing I only made a half batch. These are going into rotation! Um, these are a little bit amazing. I have been on a shameful pancake streak, and my fiancee has lost faith in my abilities to deliver a decent pancake. NO MORE! I can't wait for him to wake up so I can feed him and impress. Seriously, these are ridiculous. I ate them with Pavel's plain yogurt sweetened with a little maple syrup. Heavenly. Thank you! I'm writing this while standing in my kitchen having just consumed 3 of these pancakes in under 30 seconds. They. Are. Amazing. And all my roommates loved them too. This sounds like a great use of the rolled oats I have in my pantry. I'm going to try these pancakes out this weekend. Oatmeal pancakes are the BEST. I would soak the flour with the oatmeal also. Soaking flour in buttermilk makes the gluten much easier to digest and doesn't change the flavor of the pancake at all. Oooooh…buttermilk! I've been making the Laurel's Kitchen recipe for 100 years but I'll have to try this. I add raisins, cinnamon and the occasional handful of sunflower seeds as well. I am ALL over this. Making them soon! Really love your words, by reading them, I feel like I could almost hear your voice talking your weekend mornings and see you making oatmeal pancakes in the kitchen :)) thanks for sharing this recipe, i have been looking for a recipe to make oatmeal pancakes for a while. Home cooking using the best of ingredients you can find/afford is definitely one of the best affordable joys in life. I just wanted to say that I am so glad I stumbled upon your blog. I absolutely adore your writing style and I will definitely be trying out some of these recipes. Thank you for sharing! You're obviously well on your way to proficient weekendery, but in case you're wondering, cornmeal waffles make a similarly excellent cornerstone for coffee and newspaper. And I am, for the record, what some might call a Weekend Morning Professional. Um, of course these are good — you might as well deep-fry the oats. 1/3 stick butter per person! Molly, I was searching your blog for just such a recipe a couple of weeks ago, so I can't wait to try these pancakes (with REAL maple syrup!). I also have to tell you that I am still laughing at the image of you and your in-laws paddling around the everglades with the alligators. Very adventurous! I'm a close friend of Brandon's older sister, so when you said that relaxation impairment was a genetic trait, I laughed so hard I nearly fell off my chair. Many happy hours spent with your wonderful in-laws – and many thanks to them for pointing me to your blog. I've become much braver in the kitchen thanks to you! @anonymous: Yes, recent studies have shown that butter IS good for you. See Dr. Richard Strauss' metastudy released in January for how saturated fats do NOT contribute to heart disease. See the work of Dr. Michael Eades and Dr. Ron Rosedale, who both run obesity clinics, for how eating fat does NOT make you fat, and actually is a prime part of reversing severe obesity, as they've both proven in research papers and a combined total of over 30 years' experience. Proudly not anonymous, and over 10 lbs. down since before Thanksgiving, partially thanks to butter. Hello, friends. You guys are great, as always. Luisa Nicholson, hmm! For me, the key to a good pancake lies in warming the pan until a droplet of water sizzles on its surface, and then monitoring the first batch closely, to make sure that they don't burn. It's important to know your stove well: on mine, I always warm the pan medium-high, and by the second batch, I'm usually turning it down to medium. If yours are still burning on low, well, that is tricky! Does your stove run particularly hot? Lou Ann, I love that runner too! It was made by Lotta Jansdotter, and I bought it (on sale! woo!) a couple of years ago through her online shop. I just checked her site, though, and it looks like she's not selling table linens anymore. Weird. But if you sew, you can still buy the fabric from her site (under the “sewing” tab) and try making one. Blair, you and Peter are so smart. xo! Thank you, Lynne! We're so excited about that Sunset mention. Hoperu and Karen, I've never tried substituting soured milk (milk + vinegar or lemon juice) for the buttermilk here, but it's worth a try. I can't think of why it wouldn't work. Then again, buttermilk comes in pint-size cartons, and that's the perfect size for this recipe. No waste! Cokie Anderson, how fun that you know my mom! And yes, those are blueberries in the picture. I froze them last summer and have been slowly using them in baked goods and whatnot. Robyn, those mugs (the ones that look like Styrofoam cups) were a Christmas gift from my cousin a couple of years ago. They were made by a student at California College of the Arts, and my cousin bought them at the student art fair there. I wish I knew who the artist was! I love them. MSB, I do think you need some kind of flour, yes. But if you don't want to use all-purpose, I'm sure you could substitute a different flour with similar properties. Jolan, yes, it was a combination of all three. Actually, it was gin + Lillet + Maraschino + Scotch. Anonymous, re: butter, I'd rather eat some delicious pancakes (with a good amount of butter) and maybe choose to eat a little lighter for the rest of the day than not eat the pancakes at all! To each her own. When my father came to America, the only thing he liked were American-style pancakes. Of course, he has added more dishes to this favorite, but how would my Mexican bratty daddy ever know that his American-born grandchildren just LIVE for a stack of his homemade pancakes?? Going to try these on our weekly palacinca day. Kids love oatmeal during the week so I cant wait to try these on them. Also tried your Celeriac salad from Bon Apetit. Perfect light dinner after having 1/2 a tray of brownies for lunch. I'm printing this out as we speak, it sounds just scrumptious. If it weren't 1130pm I might be tempted to make them right now! By the way, and one of the 127 posts before me might have mentioned it already so apologies for the possible repeat but I saw your pizza place get high praise in the latest issue of Sunset magazine. Congratulations and good for you! As I child my family decided to rent a small boat, and go out on the Okefenokee Swamp in south Georgia. If I was older I would have probably freaked out, but I was too young to know what was really going on. I'm not a big sweet breakfast person, but these sound delicious. I'm very bad at mornings in general, but today I got up and made myself breakfast. I'm getting closer and closer to actually getting up with my boyfriend when he goes to work. It's all about the baby steps really. I made these this morning and thought I'd throw my baking notes into the collective recipe discussion: the batter came out a bit thin and I think this was due to my cutting out 2 T butter (still rich & crispy) and using lowfat buttermilk vs. whole (gotta love the thickness of old fashioned butterfat) – so I added a bit of extra flour to no ill effect; the first batch burned a little without cooking through, so I did the rest on medium low, using a longer cooking time than w/ traditional cakes; this batter makes a lot of cakes! – halfway through we were full and I tired of flipping, so I baked the rest as mini muffins (20 – 25 min? 350 degrees) and they turned out much like baked oatmeal. Nice. If I make again, I think these beg for the blueberries you suggested. I am enjoying reading your blog and trying recipes. Thanks. Thank you for this recipe. I had it years ago, out of a Jr. League California cookbook and made them often. Forgot about them until I saw your recipe. I made them this morning and they are A-1, a very yummy pancake. I knew that I wouldn't have used 1/2 a cup of butter in them at any time, so today I used 1/4 cup and it worked fine. I cooked them on my round Oster griddle at 375 and they will go in the fridge for one-a-day breakfast pancakes (warm them in the toaster). Thanks again for all the goodies you give us. Perhaps it's time I too ate something other than cereal in the mornings. Wow, these sound wonderful. I can't wait to try them! Laura, that's so strange that your batter was thin! I'm not sure why that would be. I used lowfat buttermilk too, so that's not likely the culprit. (Not even sure where I could buy whole buttermilk! All I ever see is lowfat.) And taking away 2 Tbsp. melted butter would decrease the liquid and, I would think, make the batter thicker, not thinner. Weird! But so glad you were able to make them work in the end. Thanks for the response, Molly. I live in the South, so I have access to all kinds of buttermilk! I must have just added too much the night before – I get haphazard measuring occasionally. I just reheated one of the baked oatmeal pancake muffins and topped it with ricotta cheese and a quick ganache – very nice treat. Am soaking the oatmeal for tomorrow at this very moment. Enjoyed your book and hope there will be more podcasts coming. I am still chuckling over the first one. Thanks Molly! 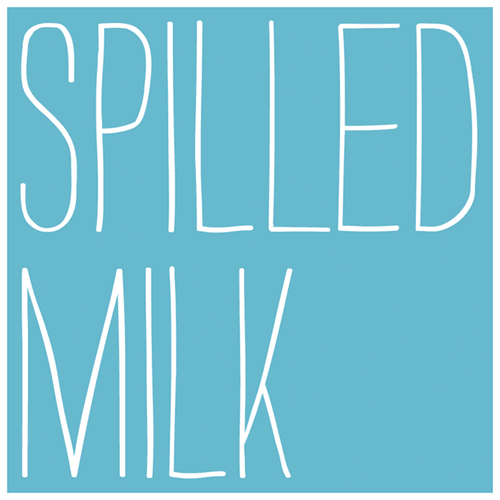 I am very new to this site and currently reading your book, but I wanted to put a plug in for the podcast “spilled milk” – it is HILARIOUS! i want more episodes!!! keep em coming! It sounds like you're making a great use of your time and interests. I'm definitely not relaxation impaired, but if I were, I'd want to have your sort of impairment!! oh dear. i am so addicted to the buckwheat pancakes from your book, and now you go and do this? with all these pancakes i may never eat an omelette again. pancakes sound amazing! Definitely making this up tonight for tomorrow. Unrelated but how I got here… I read your piece in b.a. about celeriac. i have a similar addiction after having it for the first time last year at the ledbury in london, and now have them growing in the garden. can. not. wait. to eat them fresh. Pancakes are just the bee's knees. In early December, Mara Rose Shulman posted a recipe almost identical to this one in her column “Recipes for Health,” and it's delicious. I'm going to have to try your recipe, too, and square them off against eachother. This is so crazy because I have been craving oatmeal pancakes all week!! And while it is totally raining and freezing outside, I am now going to have to run to the store and buy buttermilk so I can make these this weekend! Oh well, it's all for the love of food! I love your recipe and its appropriateness to Burns Night, being particularly Scottish in origin. Made these this morning, and they were delicious! My 2 yr old and 4 yr old are pancake fiends, and this seemed a smidge healthier than our standard buttermilk pancake recipe, so I thought I'd try it. Lo and behold, they ate 3 or 4 each! Wow! Super yummy….will be added to my permanent recipe book. Thank you! I can't wait to try these – and Molly – you CAN buy whole buttermilk – it's divine!!! I use it for all sorts of yummy things, from cornbread to panna cotta! I think I usually get it at Whole Foods (it is from a local dairy. 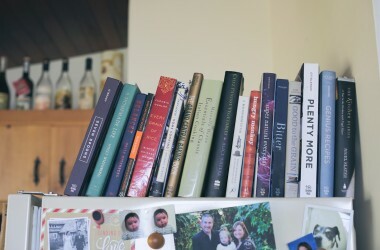 I am SUCH a huge fan – your book is my favorite gift (along with a recommendation to your blog!) can't wait to try these pancakes! Mm… These sound super delicious. When my boyfriend and I lived closer to each other we'd make pancakes for lunch all the time. We'd even get his little sisters in on the fun. Oh such wonderful memories… Thanks for reminding me of them with this recipe. I'll definitely try it the next time I'm near a stove. I made these this morning and my family devoured them. Thanks Molly for another fantastic recipe. Just a quick note to let you know that I really enjoyed reading your book. I just finished it this morning. I hope you will write another one soon…..thanks for sharing your stories and recipes. There is something so cozy and home-y about this post. About your writing in general. Something familiar. 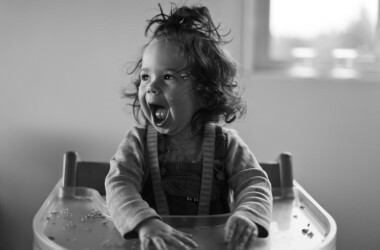 An inside feeling of happiness. I do so love that feeling of inner happiness!! and these pancakes oh the sound delicious and will be started tonight because well Sunday morning pancakes are just the best!! Made these with skim instead of buttermilk – still absolutely delicious! My husband loved the rich flavor! Wow! Beautifully written and even more beautifully photographed! The pancakes sound great and unlike other oatmeal pancakes I've had before. Can't wait to make them for tomorrow's brunch! I have some leftover buttermilk, and I just bought oats. I immediately went downstairs and mixed them up – I'm now ready for Sunday breakfast! amazing! we halved the recipe and used yogurt instead of buttermilk. we also added frozen elderberries. yum! Excellent recipe. Made these this morning and just loved them. Incredibly moist and hearty but tender at the same time. This is being added to the rotation. Yum! I made these with frozen raspberries. My batter was pretty thick, so I had to kind of spread them with the back of a spoon as they cooked, but it worked well and they were delicious. Definitely a keeper. Made them yesterday….SO GOOD! Def a new family fav. Thank you! Eating cold leftovers now…yum. These pancakes are outstanding. We ate them with real maple syrup and some homemade chunky applesauce on the side. YUM! Thanks for sharing. I made these Saturday morning and they were just as good as you described. My husband and I loved them and I know they will become a new staple in our house. Oh, and you were right…they were very tasty as a late night snack after a few drinks! The oatmeal pancakes look delicious! I've been wanting to make oatmeal pancakes for so long, so this is the nudge I need. I guess I just need to prepare a bit and get things set up in the evening (something I'm not great at) and forget about being impulsive. Thanks! I love your blog, and I've started a bookclub. We chose your book to get our reading feet (?) wet! Just waiting for the other town's library to ship it to mine for me! Can't wait. We made blueberry versions of these pancakes on the weekend and they were absolutely DELICIOUS! It was so good to have some left over for the next morning too. Exactly as you said. Thanks so much for sharing the recipe. We were using Whisk & Pin's blueberry pancake mix before but now I only crave these! Just wanted to add, that being Australian, we had our blueberry pancakes with golden syrup drizzled over rather than maple syrup. But still delicious, all the same! Delicious! I not only love your recipes but have been inspired to start writing my own blog! YUM, molly! what a great recipe – definitely on the agenda for a morning around here (or dinner, you never know). thank you! Molly, at first, the thought of oatmeal pancakes didn't have me rushing to the pantry – I had made them years ago and remember them being heavy and raw tasting. However, you made them seem so wonderful that I gave them another try. My goodness gracious, these were wonderful! Some thoughts: (1) keep the pancakes small & cook at a slightly lower heat than you would with regular pancakes, (2) unless you are cooking for a crowd, reduce this recipe by half, and (3) leftovers freeze beautifully. Thanks for the recipe! i LIVE for weekend mornings. my husband and i have an uncanny ability to waste away hours over espresso, baked goods and, more baked goods. Bravo for you — that is a great routine to have developed — awesome pancakes for breakfast, AND inviting others over to join you for them! My usual weekend routine is to, every Sunday for as long as I can remember, make a pot of coffee and read the New York Times for 3-4 hours, savoring every section, Sports included, and darn near every article. I look forward to Sundays with great joy in my heart for this very reason. I would love, love, love it if I would also make pancakes, or eggs, or some other fab Sunday morning meal for myself, but that's a routine I haven't quite developed yet. But these pancakes could be a game changer. . . . . I actually made these delicious pancakes on – gasp! – a Wednesday morning. I have a couple of days off teaching between semesters, and was longing for a taste of home (I live in Spain), and these luxurious cakes fit the bill. A perfect excuse to break out the bottle of Grade A maple syrup I've been hoarding for well over six months. I made “buttermilk” (difficult to find here) by mixing lemon juice (abundant here) with whole milk (about 1 tbsp per cup). Thank you for the recipe and inspiration! Thanks for this recipe, Molly!!!! These pancakes are wonderful — a much tastier alternative to our standard morning fare – oatmeal with wheat bran, wheat germ, and flax seed added. I added the bran, etc., to the recipe — 1-2 tablespoons of each — but otherwise followed it exactly. We were surprised at how light the pancakes were. Even those who normally shun oatmeal liked them (drowned in syrup, but still…) They're great heated over for breakfast the next day, too. I plan to try substituting applesauce for some or all of the butter to make them healthier. Enjoy! This recipe is almost identical to one I have made for years, which I got from Marcia Adams' book, Cooking from Quilt Country. Her version adds 1/2 cup whole wheat flour and has a bit less sugar. They are very hearty, aren't they? those are lovely pancakes, and my morning are a rush as well I actually like them better that way, it gets the day started. 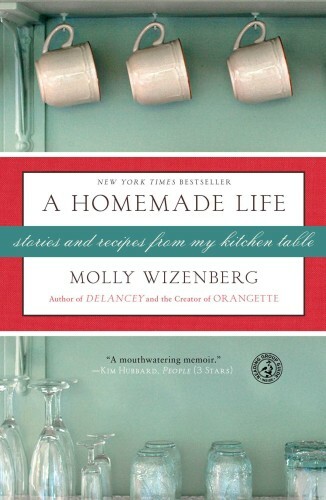 Molly, I am listening to your book A Homemade Life, WOW! I am always drawn to stories that are about cooking, quilting etc. (though I don't do either well) but love the thoughts of. Your book is excellent! So I came seeking your web site. How delightful to be able to sample the recipes that you so delectably describe in your book. Thanks for your comfortable approach of sharing recipes through life stories!! Thanks for not being a 'low cal' cook. Being raised on a ranch I am a heavy cream, homemade butter kinda gal. I just wrote an Orangette reference-heavy post on my blog, including a couple of recipes. Being pretty new to this whole game I wanted to be 100% positive that I'm going about things like that in the right way. If there's anything you'd like me to change or do differently, please do let me know! By the way, congrats on Spilled Milk. Great stuff. You're beating the Car Talk boys at their own game, and right out of the gate. The only problem is, I thought I could listen to your show while I was cooking, but I don't think I should be wielding 10 inches of Solingen steel when you two are cracking me up — could lose a finger real easy like! just as an fyi, you can pulverize a handful or more of almonds and add it to the flour, for a protein and fiber kick. I have always wished I could be one of those people that enjoyed lounging on Sundays. Always feel the need to move, move, move. Burns more calories that way, so I can eat yummy pancakes. i'm just stopping in to say that i hope that you have not become bored with posting here. Obviously you're having loads of fun making the podcast…but your writing here is, for me, where the treasure is. Nonetheless, wishing you all the best and continued success…which i know will flow your way. Marcia, you're not technologically impaired! The problem is that Blogger doesn't offer a print function for its blogs – or not that I know of, anyway. When I want to print from my blog or another Blogger-hosted site, I copy and paste the text – only the parts that I want – into a Word document, and I print it from there. gluttonforlife, you can definitely substitute some sort of gluten-free flour, yes. But to be perfectly honest, I don't know a lot about the properties of different gluten-free flours, so I'm not sure which one to steer you toward. Have you checked out this blog? She might have some advice for you. Zephyr, don't worry! I'm not the least bit bored with posting here. I'm just a busier person than I used to be, and I'm also currently in Oklahoma, visiting my grandmother, who isn't doing well. But I'll be back very soon. Thanks for reading, and for your patience! I'm a breakfast addict, so will likely be trying these this weekend – I have buttermilk waiting in the refrigerator. You might also try these, although they don't require a night-before commitment: http://beyondtoast.blogspot.com/2010/01/its-all-about-breakfast-absolute-best.html. From one former Biquick kid to another, homemade pancakes are where it's at. Cheers! I love Saturday morning because I know that the whole week-end is in front of me. Now you just need a waffle recipe to compliment your weekend options. Additionally, I love the smell of chicken apple sausages cooking up or maybe some applewood smoked bacon. I agree, it's not just the food but the process as well. Sending you and your grandmother lots of warm thoughts. I have been saving this recipe for a special weekend treat and since we snowed in here in Baltimore, MD, thought today would be a perfect day to try them (I added buttermilk to my emergency grocery store run on Thursday). These pancakes are a delicious compliment to the almost 3 feet of snow! Thanks Molly. I've made these twice and they are delicious. In fact, they are good enough to make me drag my sorry self from the warm of my comforter and hubby last night to set the oats a-soaking. My girls love them and the few leftovers freeze and reheat beautifully. I actually like them plain with my cuppa tea. Keep those decadent delicious recipes coming! The batter of these pancakes reminded me of a soft oatmeal cookie, so when I made them this morning I added a tsp of cinnamon and pinch of nutmeg along with vanilla extract. They turned out beautifully moist and fragrant with warm spice. My beloved aunt passed away yesterday and one of my most vivid memories of spending time with her and my cousins was Sunday morning pancake breakfast. As a child I ate a LOT of pancakes in her home, to the point of not caring for them any longer as an adult. Yesterday, hours after getting the call about my aunts passing, I checked in on your blog looking for who knows what and found your oatmeal pancake post. Last night I prepped the oats and buttermilk and this Sunday morning we enjoyed chewy and satisfying pancakes in honor of Aunt Blanche's memory. 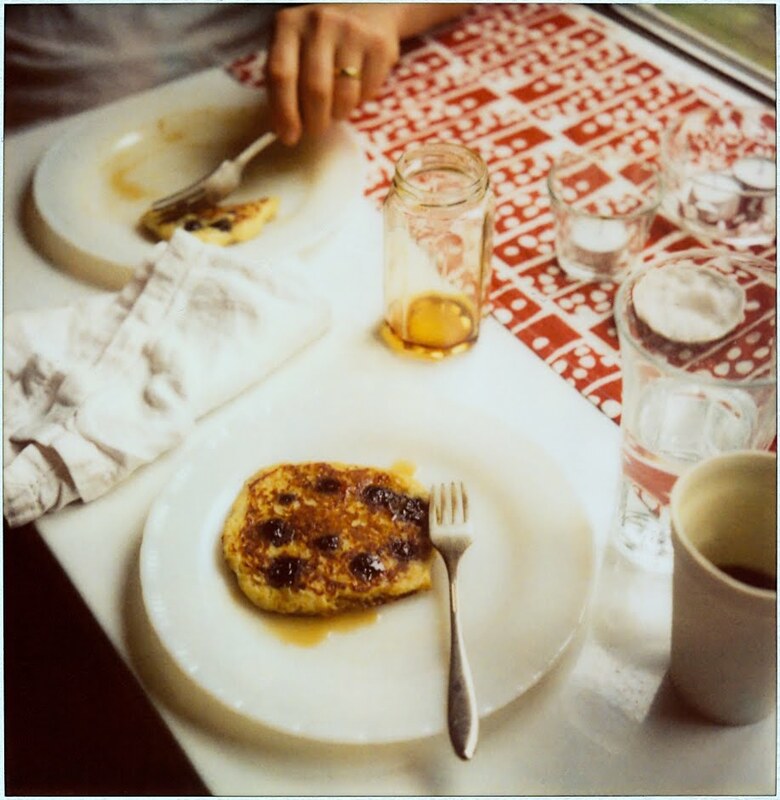 Thank you for your timely sharing , these pancakes will be made again and again and again! For the record, I wasn't suggesting that 1/3 stick butter per person is a bad thing (says the person who is making salted caramel ice cream, frozen honey mousse, and lime butter cookies this afternoon for the super bowl). I'm making the Bouchons au thon tonight. I made your pancakes with blueberries today and loved them. I usually prefer waffles to pancakes because they have more texture/substance, but I loved these! The tang of the buttermilk and the chewiness of the oats…WOW! I have your book and would like to cook my way through it. I have made your berry poundcake twice and several other things…all great. I love the quirkiness of some of the recipes…combinations I might never have thought of trying together! I love the way you tell your story and that of your recipes! Just made them, they're sooo good! Could have done with 1/2 the recipe; boyfriend and I ate one each with a slice of really good ham and it was a perfectly sized breakfast. With the other half of the batter, I threw some thawed Nash's strawberries in the well-oiled pan, poured over the batter, and popped it into a hot 350 degree oven for 15 or so minutes(a la Anne Catherine). We'll have it for breakfast tomorrow with eggs. Thanks for the great recipe! I am new to your site. My good friend and fellow foodie, Jan, turned me on to your site and I must tell you that your site is not only gorgeously written and photographed, but all the recipes sound wonderful and I can barely wait for the snow to melt so I can go out and get many ingredients. Thank you and thank you, Jan. I made these on Saturday and they were a huge hit at my house. We will be making them again (and again). I'm also a cold cereal on Sundays person n so is my better half but i think this is an impressive recipe and will definitely try..Not sure on which Sunday morning..But sure will do. Just found your site and am loving it. Thanks for sharing all of these wonderful recipes – I can't wait to keep reading (and try a few)! Yum! Made these over the weekend. Picky daughter loved them. Foodie son less impressed, but breakfast is not his favorite meal so I am not concerned. I loved them and hope I can remember to plan ahead for these often. Thanks! PERFECT…I did the classic go to the grocery store and bought what I already had, a HUGE bag of oats. This recipe will def. help me get through the stash! Holy moley! These pancakes are nearly identical to the ones my mom used to make (no cinnamon was ever involved though)! She got the recipe from a Bon Appettit magazine (via the La Jolla Spice Co. Restaurant — now defunct). I love your tip about leaving the oats in the buttermilk overnight — I always like the pancakes better made from a day-old batch and this makes a thousand kinds of sense! I am so glad that more people know about these wonderful pancakes! I noticed that your header has now turned to cabbage. Hmmmmm….. Cabbage is also on my mind too, all kinds,but especially red cabbage. My Rome garden is filled with it. Hence my blog entry of several days ago: http://flavorofitalyblog.blogspot.com/2010/02/sauteed-red-cabbage.html. made these yesterday, and they were amazing. I'll be making them again tomorrow. thank you for another wonderful recipe! Made these this morning. I just realized I misread the recipe and instead of 1/2 c. butter (1 stick) I used only half that amount – 1/2 stick butter. They were great. Don't think I'll ever even bother trying to make them with twice as much butter as I have absolutely no complaints about how they turned out. Oatmeal in various forms is my latest addiction. These sound absolutely delicious. I am definitely going to try them. I also think you are absolutely right about how the oats soaking in buttermilk will make you follow through the next day. In the mornings I know I'm liable to say, “Oh, let's just have toast instead.” But if it's already started, you have to keep going! Of all the blogs I have visited, this is a most excellent read. You are an amazing writer and I love your style. I feel like I'm taking a part in your day and your life and I will be looking for your book on my next trip to Barnes & Noble. The oatmeal pancakes and chocolate mousse treats look delicious. I'm looking forward to exploring more recipes and trying them. I made these last weekend – and they were wonderful! Thanks for sharing another savvy recipe! We just made these for Valentine's Day breakfast and now I'm in love…. So good, m'dear, so good. Jimmy and I couldn't be together this weekend, so we both decided to make “each other” pancakes to celebrate Valentine's day. I don't know what he came up with, as he's normally the pancake maker for us, but I know it wasn't as good as these. We ate these blueberry pancakes for breaky this morning, they were delicious! I halved the recipe for two and used wholemeal flour instead of white. Perfect … and filling. Delicious with maple syrup. Successful Valentine's breakfast accomplished! I think my husband thought these sounded too health foody when I first mentioned them, but I assured him that there was a whole stick of butter and he was game. Love how creamy they are on the inside and the outside gets a such pretty lacy brownness. Thank you! Oh yum. I made these for Valentine's breakfast this morning. They were scrumptious drizzled with a mixture of maple syrup and Pacifikool ginger syrup (we were in Hawaii last week). Oh me oh my. I also made your celeriac, fennel and apple salad from Bon Appetit as part of my husband's birthday dinner last week. It was a very tasty winter salad. Thanks! These pancakes are devine! I have made them twice already and my bf keeps requesting them! I also agree with the above post, I added 1 teaspoon of cinnamon and a pinch of freshly grated nutmeg and the spice really accentuated the sweetness of the berries. And for those of you who are not much of a 'prepper'…I mean how hard is it to throw some oats and buttermilk in a bowl and cover it with plastic wrap? I tend to do it just before I go to bed…trust me it's SOOO worth it! Made these on Saturday. Absolutely divine! Thanks so much for sharing. I've got a similar recipe from Fanny Farmer that uses oats soaked in buttermilk for muffins. They are AMAZING. Seriously, I'm not the kind of person who writes odes about pancakes, but oh my! These certainly deserve one! I never came across oat pancakes before, yet these were absolutely delicious. I'm just so upset I only had one cup of buttermilk thus made half the batch only. Will have to make more tomorrow! I have a similar problem…being a single mom and enterpreneur leaves little time to relax, especially in the mornings! These pancakes sounds great. I think I might make up a big batch and keep it in the fridge for quick breakfasts!!! Tried them again, this time successfully. (Messed them up on Sunday.) Yum! My little girls and I ate them in the morning then all day cold as snacks. We had a very similar cake at the Fuel Cafe in Denver about a year ago. 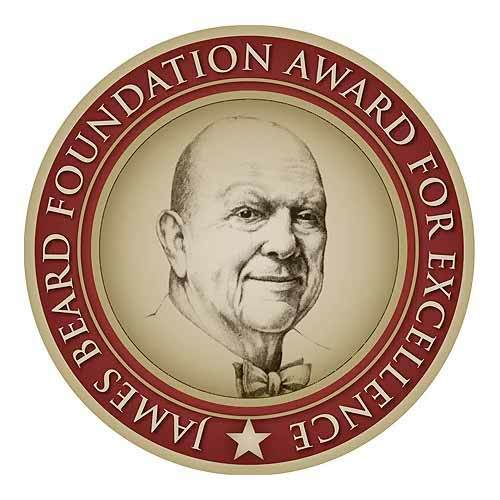 I didn't know what to think when I read it on the menu, but the owner and chef, Bob, highly recommended it. And Bob knows his baking. We loved but never tried it at home. This recipe is worth a try! I just made these pancakes last night for Fat Tuesday! With blueberries and turkey sausage. And they were an unqualified success! Thanks! I've made these twice already– once (by request from my hubby) on Valentine's Day. I scopped the batter into a ziplock with the corner snipped off, and piped them into big heart shapes onto the pan. One of our faves– thanks, Molly! I can't wait until next weekend to make these for my family. My parents are coming to visit, and I know they will love them! Great story too! Hello from rainy London where I have just made another batch of these amazing pancakes! I LOVE these pancakes and so do my children, and I have become obSESSed with these! For info, the batter freezes really well and we use frozen raspberries, which are tangy and work really well. I'm pretty late to the comments, but just thought I'd mention that these pancakes freeze wonderfully! (without the berries, at least). Mine didn't last too long, but that was just because I ate them all. These were a revelation. Thanks so much for posting the recipe. We are gluten-free and I made these with 1/4c millet flour and 1/4c oat flour. The rest of the ingredients exactly as written, no other additions or substitutions. i love this! I've never thought to add buttermilk but I'm sure that adds a nice touch! I'm also weekend-morning-impaired.. so I completely understand. And this recipe sounds delish so I'll be trying it. Just made these this morning! They're fabulous. I love oats, and often find oat and raisin cookies aren't oaty enough, but these were great. Might be good without the sugar and fried in bacon fat. I may try that next weekend. My husband grew up on Fordhook Farms. For a short while I helped Laurel around the B&B. Fond memories of the Oatmeal Buttermilk Pancakes and the Stuffed French Toast. Mmmm… breakfast tomorrow, tonight? FYI, quick oats don't work as well, these pancakes take a little longer to cook than regular pancakes, so back off on the heat a little. Just yummy with fresh blueberries. These are wonderful! I used old fashioned oats and they had a nice chewy texture. I ate the leftovers monday and tuesday morning warmed up in the mirowave and they were just as wonderful as fresh from the pan. I made a similar recipe a few weeks ago. To the batter, I added finely chopped raw almonds. They added a wonderful texture, and made the yummiest pancakes ever! The second time I made these, I used soymilk, as my husband is allergic to dairy. It worked great. And I only soaked my oatmeal for an hour while I chopped and chopped those almonds. I like the chopping by hand, as I didn't want them too small, or dust. Just tiny. My husband said these were the best pancakes he ever had! They do take some time, but are so very yummy! Love your recipes and writing! I left the oats and buttermilk mixture in the fridge 24h ago. Since I don't have time to make them, do you think it will be a problem if it stayed in the fridge another night? Ena, I've never tried leaving the oats in buttermilk longer than overnight, so I can't say how it would be, but you're in luck: I just met someone tonight who told me that she accidentally left hers in the buttermilk for 48 hours, and she loved the result. So, there you go! Wonderful! I used 1/3 cup canola oil instead of 1/2 cup melted butter. My search for the perfect thick pancake is over. Okay, months (months!!) later, I am getting ready to make these pancakes this morning. Apparently this is the first evening since I read your post that I've had the wherewithall (how do you spell that, anyway) to put together oats and buttermilk in advance. Looking forward! THis may be a very stupid question. As I live in switzerland and cannot find buttermilk anywhere, can I substitute this for the buttermilk substitute one can find online, something involving milk and lemon or milk and vinegar? Has anyone tried it this way? I just wanted to thank you for this recipe. I found it after struggling with gluten free pancakes for a while – I either had to mix 5 different flours (and who wants to put in that much effort on a Sunday morning?) or buy a $7 box mix. I found this recipe, tweaked it by adding rice flour instead of all purpose (and made sure my oats were certified gluten free). We've made it almost every weekend for the past couple of months. My partner (who can eat gluten) likes it more than regular pancakes. Thanks again! These are also fantastic as waffles. I've been using a similar recipe for the past year, and when I have extra waffles left over, I just freeze them and pop them into the toaster when I need a quick, work-day breakfast. resort, enjoying the best breakfast ever! Today in Boston, 60, before the rain and ice this week-end! Works well in the waffle iron and 1/2 the recipe, perfectly measured is very good. Delicious! even good without Maple Syrup. Oatmeal pancake recipe, also makes a good waffle. I added a little vanilla and thought that was very good. Cooked all of the batter and had some for breakfast the next day,could hardly wait for the oatmeal pancakes and a good cup of coffee. These pancakes sound lovely and are now on my 'To Bake' list! Am halfway through your book and am enjoying it a lot, you write in such a wonderful fashion. Always love a taste test though! I am the cook at Nourish Bistro, in Victoria BC. I've been making these pancakes for myself for weeks and loving them. I've also been itching to find a way to serve them for breakfast at Nourish. Enter the problem of a tiny kitchen and virtually no stove top space. What to do? However I am blessed with a killer barbecue set-up. So my solution? Turns out these pancakes bake beautifully in a pan, and they can then be cut into triangles and grilled on the bbq. Voila, grilled pancakes; people loved them. Thanks for the inspiration. I love these pancakes! I've been making them for a long time, since a friend gave me one of the “Sunset Favorites” cookbook (don't know what year it was). Today I tried an experiment, replacing the wheat flour with buckwheat flour. 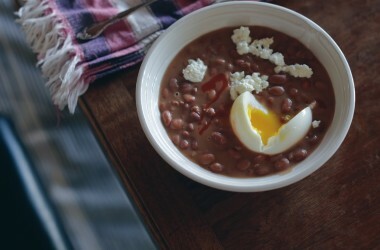 Everyone should try it….they are still very hearty, but lighter and with even more flavor. I inadvertently omitted the butter when I made these a second time, and it wasn't missed at all! We added a splash of milk because the mixture looked dry, and they turned out perfectly—we did not even notice the butter was missing until it was time to clean up the kitchen. Good way to save some calories and avoid undoing all the anti-cholesterol properties of the oats. Generally, pancakes are things I will eat if served to me but that I don't go out of my way to make or eat…but I might have to start making these on a regular basis. They are awesome, definitely worth getting up early for (and if you measure out all the dry ingredients at the same time you mix the oats and buttermilk to sit overnight, they'll take even less time in the morning). They will keep you full until lunch, and in addition to being more nutritious, they reheat much better than regular pancakes too 🙂 They are delicious with maple syrup. I am going to try topping them with fruit sauce next time (frozen blueberries warmed with a small bit of sugar, probably). These are so delicious! I've made them twice in the last week. I used half the amount of melted butter & whole wheat flour and they were great. Definitely saving this recipe, thank you!! Thank you for sharing your wonderful pancake recipe! I read it one day, then, that night I couldn't sleep, so at midnight I got up and started the pancakes by mixing the oats and, I didn't have buttermilk so I soured some milk and mixed that in. What a great treat I had in the morning when I added the other ingredients and walaaa….it was a comfort food breakfast for me. Instead of maple syrup, I piled cooked apples on top of the cake…delicious and nutritious. Speaking of nutritious, I also added ground flaxseed to the mix. I think it would be very nice to add chopped nuts to the batter as well. The pancakes remind me of the ones we had at a B and B in southern Utah a few years ago. YUMMMMO! Oh, and PS (from Sunday tradition comment), we use goat kefir instead of buttermilk. Works great! Molly, do you think this would work with quick cooking steel cut oats? I’ve made this the original way many times and have loved them but had the aforementioned oats on hand and was wanting to use those. It’s worth a try! I imagine it might be just fine.